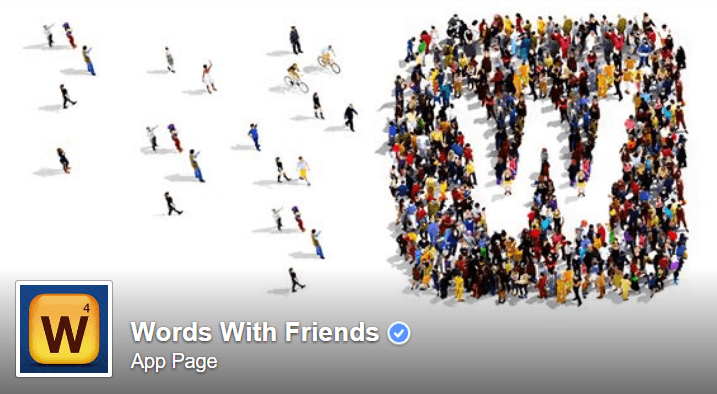 Online games have evolved over the years and have now found a new identity with Facebook. With more than 1.4 billion users, Facebook is counting growing number of users with each day. Being the world leader in the category of social networking websites, it capitalizes on its user base by offering them a whole slew of engaging online games through their platform. So, apart from their other great features like, sharing photos, videos or your own views, you are also spoilt for choices with games. 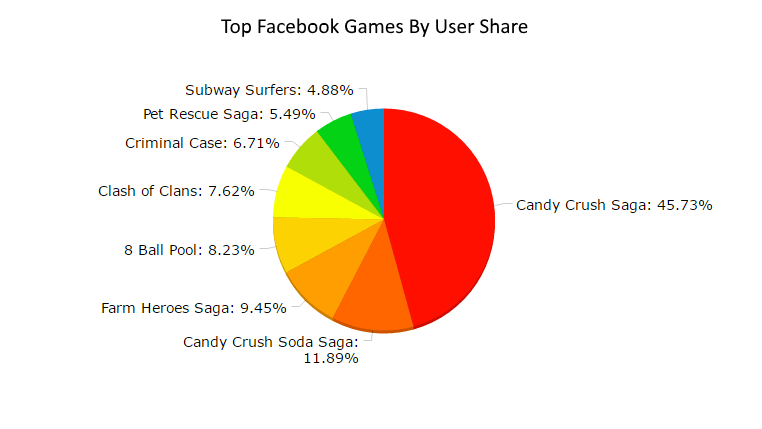 So, what are the most Popular Games on Facebook. From casual, Puzzles, Casinos, Strategies, Battles to Casual Games or Simulation Facebook offers a range of games from different genres which will never let you feel bored. However, it may be a possibility that you may overlook a great game in the long list that they offer; hence today we are here to help you find just the right game of your choice. So let’s take a quick roundup of the top 25 Facebook Games of 2015.. Rated as the most popular Facebook game and app, “Candy Crush Saga” has more than 50 million users per month. A new user can enjoy several free levels after which they are either required to make a payment or send requests to Facebook friends to unlock further lives. It’s an overall extremely easy to play and engaging Puzzle/Match 3 genre game with more than 30 Dreamworld levels, where you can match and swap delicious looking colorful candies, trace objects and more suing the specified number of moves. As a Facebook user, you can play this game on all mobile operating systems including Android, iOS and Windows. A Match 3 game, “Farm Heroes Saga” has around 10million monthly users and is developed by the Candy Crush Saga and Pet Rescue Saga creators. In this farm based adventure game, you can emerge as the ultimate hero of the farm by salvaging the farm lands. As a player, you need to prohibit Raccoon and Rancid from destroying the cherished farm space. In short, have fun with matching and switching more than three captivating cropsies to stop the farm spoilers Raccoon and Rancid. You have the facility to continue the game on your mobile, in case you left it a level on your Facebook since it also available to download on mobile platforms like, iOS and Android. With 10 million monthly users “8 Ball Pool” belongs to the Sports genre and is the most popular online Pool game available to play free. It is developed by Miniclip and is a virtual pool game that has dedicated players since years. It offers some cool animations and simple to understand rules that make it the best online pool game till date. Here you get to compete with other online players from different parts of the world for all the game levels (easy or difficult) or you can also play a championship to win goodies. You may pay with your Facebook friends; however, it is yet to improve on its social aspect. The game can be played also on iOS and Android platforms. A strategy based or simulation game with around 10million users per month, “Clash of Clans” lets you fulfill your dreams to create buildings along with building an entire battalion of warriors and wizards. With this addictive battle game, you can get into action with a whole gamut of other online players in the legendary combat. Here you can fight other online players and demolish their posts, and your movement can be checked only if your aid is over as you get no extra lives or moves in this game. However, the fun lies in the fact that you have the freedom to select your characters and build your village into a ferocious fortress and a battalion of soldiers, wizards, barbarians, dragons or fighters, throwing a mighty challenge to the other players. The game is available to download on iOS and Android platforms. “Criminal Case” is a Hidden Object and Puzzle game that brings your investigating skills to forth with its interesting concept. With a monthly user base of 10 million, this is one of the popular Facebook games that makes solving complicated crime cases exciting. The player acts as a police officer while he/she is assigned different tasks that need the player to hunt down the criminal with the available hidden clues. The cases include crime scenarios which even includes murders which you need to solve as the player. Though it may not be interesting to many considering the gory details at times, but for the ones who love to solve mysteries this is a must play HOG game. It is available to play on both iOS and Android platforms including Facebook. With more than 10million users every month, “Pet Rescue Saga” is another popular Facebook game of Match 3 and Casual genre that requires you to match similar color blocks to move up to the next level and then salvaging the pets from the evil wicked pet thieves. The catch here is that you have to achieve this in a limited number of moves and hence create a strategy carefully. Pets include animals like, cats, dogs and birds caught inside a building waiting to be rescued by you. For your assistance, there are options available in form of helicopters and fire extinguishers. The game is close to the Candy Crush Saga which requires you to match and switch blocks. Apart from Facebook, the game is also available to download on Android and iOS mobile platforms. 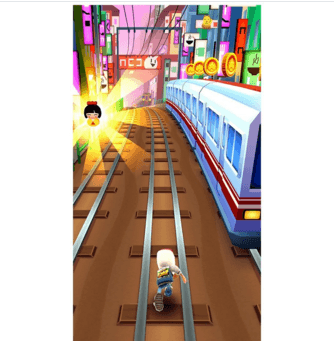 “Subway Surfer” is an adventure game with an average of 10million users per month. This game lets you run endlessly and as fast as possible along the subway escaping the approaching train while helping the animated characters, Tricky, Jake & Trash to dodge the cranky inspector and his dog. It’s a fun and a super easy game which is available to play absolutely free on Facebook. The colorful and vibrant visuals in HD keep each player engaged whether a kid or an adult. It lets you surf with hoverboards, lets you access jetpack powered by paint, challenge your Facebook friends and more. This game is available for download for iOS, Android, Kindle, and Windows Phone 8. Belonging to the Simulation genre “Dragon City” has 10million users each month. Even though the game theme is a bit berserk where dragons live their lives in small havens in a city and spend time eating and breeding small dragons, it is indeed a super thrilling game that keeps you hooked by helping you to make your own dragons and a fascinating world of spellbinding landscape. Here you can fight your Facebook friends with the help of your dragon squad and have endless fun in the fairytale setup while you create a skilled Dragon moving up the level. Dragon City is available only for Facebook for the moment. If you are someone who loves answering tricky questions, this game is just the right bet for you. With a monthly user base of 10 million “Trivia Crack” is a quiz game that lets you challenge other players or friends, while it sharpens your knowledge at the same time. It offers six different sections such as sports, technology, arts & literature, science, entertainment, history and geography. A player needs to get the character signifying the section he opts for, and then rotate the wheel which will ultimately decide which section you need to answer. If the wheel halts at the special choice option, you can then provide your responses for your chosen section. This fun game is available for iOS and Android as well. There is so much to explore with floating patios, lost temples, underwater labs, and more. Even though it may not be the best FPS games in the category, it does a pretty good job in keeping you entertained for free. Apart from Facebook it is also available to download on Android platform. Belong to the Action genre, “Dungeon Rampage” is one of the most popular Facebook games with a monthly user base of 500,000. It is a browser-based multiplayer and free to play the game where you can choose one from multiple classes available and get into the game of the evil commander. The game requires you to clear the cells/dungeons with two other online players while demons are attacking from all ends. This is a game full of non-stop nerve-racking action that appeals to action lovers. “Dungeon Rampage” is available only on Facebook and not for mobile platforms yet. Another exciting game, “Bubble Witch Saga” belongs to the genre of Puzzle and Casual games. It currently has a user base of around 1million per month and counting. Designed by King, the developers of Farm Heroes Saga and Candy Crush Saga, this is a free to play the game, though there is a payment required for a few of its items. In this, the character Stella along with her cats needs your help to prevent the dark spirits that are tormenting their lands. Move up each level by bursting bubbles and have fun with the super animations and exciting adventure plots with different extra abilities or power-ups. While you try moving up the levels watch out the crawling spiders or witches brewing concoctions. 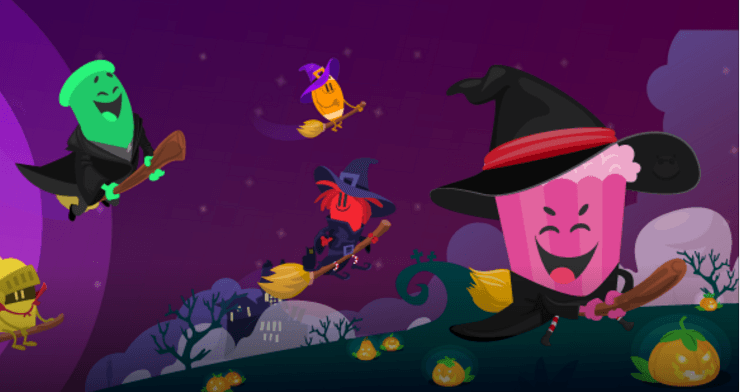 Bubble Witch Saga is available to play on iOS and Android mobile platforms too. “Marvel: Avengers Alliance” is an action genre game that has over 500,000 monthly users. The strategy based action game allows the player to select their favorite characters with different expertise to wipe out enemies. This game offers you a wide range of your favorite Marvel characters that includes, Ironman, Spider-Man, Wolverine, Deadpool and more. This 3V3 game is available to play on iOS platform only apart from Facebook. “Farmville 2” belongs to the Farming and Simulation genre with monthly user stats of 5million and is a sequel to the first version “Farmville”. This is a free to play game that lets you create your own flourishing farm by letting you cultivate and harvest delicate crops, raise cute animals and prepare tempting delicacies. The 3D animated backdrop is a fascinating world that appears lifelike with swaying crops and lovely animals moving around hunting for food. The second version offers improved animations and graphics with the same concept as the earlier. Besides Facebook, it is also available to play on all mobile platforms including Android, iOS and Windows. It is believed to be one of the top social wars simulation game with a mixture of RTS and claimed as the best role-playing game on the internet. It allows you to create your own tales and become the leader while you destroy monsters and critters in your way in a single race. The game somewhat delves in the magic concept and you can select the Rangers, Wizards or the Warriors of your choice. You can then make use of their unique weapons and powers to be able to annihilate enemies in your way. This game is available on both Android and iOS. “Words with Friends’ is perhaps the best word game across the world and have a monthly user base of 5million. It belongs to the Words genre which is available to play in a wide range of languages that includes English, German, Spanish, Italian, French, Portuguese, Brazilian and more. You can take turns to create words in the crossword puzzle manner and is close to the Scrabble game. You can play as many as up to 30 levels and notify players of their turn with the push notifications to alert them. You can either find Facebook friends to play with, by searching through username, or the “Smart Watch”/Community Match can randomly pick an opponent for you. This cool game is available on Android, iOS and Windows platform apart from Facebook. It is a free to play poker game online which belongs to the Casino and Cards genre with a monthly user base of 5million. It is the number one and the largest online poker game across the world which keeps you engaged with its amusing features. You can play with your online friends or on Facebook which lets you find new pals or view who has the best poker card. The Zynga Poker is available for both iOS and Android besides Facebook. “Cookie Jam” is a fun game which is free to play and has over 5million monthly users. While this game is surely some fun to play, it offers equal challenges during the course. The player needs to proceed in the game with its bakery on wheels and while on this adventurous journey cracking puzzles, you can explore delicious confectionaries from different parts of the world. Jam your cookies as fast as you can before they are crumbled by the Gingerbread Man. The addictive game lets you move up each level while you solve some sugary recipe challenges by creating some appetizing combos of cookies. It’s available for both iOS and Android. Available only for Facebook users and not on the mobile platform yet, “Tetris Battle” was developed in the year 2006 by Tetris Online. It has a monthly user base of 1million and in this game it is the same process you followed in the old version that is, you need to complete a full line of blocks available in different contours. However, in the new version the creators Henk Rogers, Alexey Pajitnov and Minoru Arakawa have added a slight twist with already organized levels and multiplayer option. In the new Tetris game, the levels are already prepared with blocks added that advances to a different plan every time. For added fun, you also have the option to challenge up to six players. “Hay Day” has a monthly user base of more than 5million users and is a Simulation and Farming based game. If you are someone who simply loves farming games, but wants to avoid all the hard work, Hay Day can be the best option for you since it meets all your farming wishes in a smooth and splendid way. You can create your own farm and then behave as a virtual farmer by raising animals, painting, keeping things clean, protect and cultivate different crops. The graphics, animations and the interface is extremely attractive and keeps you hooked on till the end. 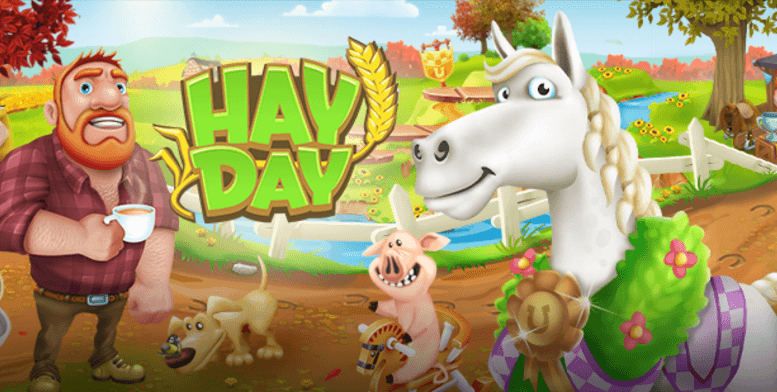 Apart from Facebook, Hay Day is also available for iOS and Android. With a monthly user base of 1million, “Diamond Dash” is a super swift figure matching game developed by Wooga. Even though this is one of the basic games offered by Facebook, it can easily be your best time pass option. It is a super addictive and super thrilling game that efficiently keeps you hooked on to your device screen for hours. It is a 5 star rated game that belongs to Arcade, Puzzle and Match 3 genre at the same time. This game is available for both the mobile OS that is iOS and Android. “Social Empires” is a simulation based strategy game which is quite similar to the “Clash of Clans”. It has over 6million monthly users and is one of the strategy based game on the Facebook. It lets you create your own empire and convert into a legend. Heroic adventures, championships, and wars with other online players puts your ability to the test. So while you build your own empire/village, you can also upskill the villagers to create a robust battalion powerful enough to combat the tons of evil giants that will terrorize your village. Even though it may not be as good as the “Clash of Clans”, it is definitely easier to play and provides that fairytale like feeling. “Real Racing 3” belongs to the Sports and Racing genre with over 1million users each month. Developed by the team of EA Support, this is a nerve-racking car racing game with some superior quality graphics. Here you can purchase cars, enhance their features and maintain them just like you would do for a real car. So, when you participate in the race you get cash prizes and you can buy more enhancements/upgrades with real cash to accelerate your progress. It lets you race with your online friends in various modes. This game is available for both the mobile platforms that is Android and iOS. From the developers of Diamond Dash that is Wooga, “Magic Land” is another popular Facebook game which belongs to the Simulation and Adventure genre. Here you need to rescue the princess from the evil dragon, and in the journey, you need to cook food, build a fortress, and combat devils to prevent them from reaching or attacking the fortress. To proceed to the level you can solve quizzes on the way and eventually rescue the princess. This game is not yet available for mobile platforms, but just on Facebook for now. This app is a fun dose to your otherwise mundane day where you can convert yourself into your favorite cartoon character. Even though it is not really a game, it provides the same fun which you can enjoy while playing a game. You can create amazing comic strips on your own in a jiffy featuring you and your friends. You can also add gags, post updates and do much more with this app which is no less than a fun Facebook game. It lets you select from the hordes of scenes that can be customized and that keeps adding regularly. Have fun adding photos at the backdrop of your custom comics and more. It is available on both iOS and Android.